This is the definitive edition of Richard Matheson's acclaimed short story that was filmed twice for The Twilight Zone. 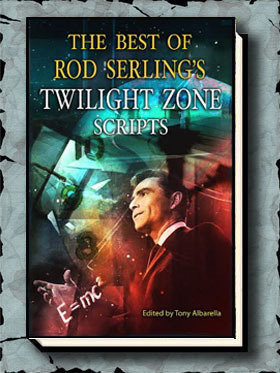 The book is edited by Tony Albarella (editor of the Rod Serling script series). 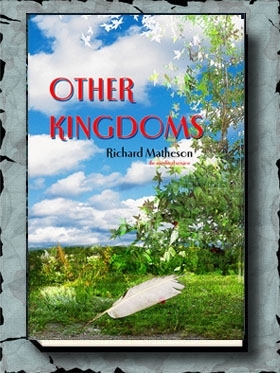 Richard Matheson was interviewed by Albarella for the book. We have contributions from William Shatner, Carol Serling and Rockne O’Bannon, Richard Donner, and Richard Christian Matheson. “It’s hard to believe that it’s been nearly half a century since the original teleplay of one of Richard Matheson’s most famous stories first appeared on the classic Twilight Zone television program. Commercial air flight was still a fairly novel thing in 1963, and Mr. Matheson’s now-famous story about a nerve-wracked man who believes a malevolent, wing-riding gremlin is determined to destroy the aircraft in which he is flying resonated with air travelers then, and still does, perhaps even more so–in our present atmosphere of intense air travel paranoia. 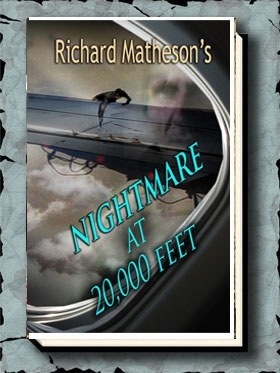 “In this fascinating collection, the reader is immersed in the ‘Nightmare at 20,000 Feet’ phenomenon, including the short story, Mr. Matheson’s original teleplay, the Matheson/Miller shooting script for the 1983 Twilight Zone movie (in which John Lithgow took on William Shatner’s signature performance), storyboards from the movie segment, and many photos from the original television program and the film. “Preceding each are revealing introductions and appreciations by Twilight Zone expert Tony Albarella, Director Richard Donner, writer Richard Christian Matheson, Carol Serling, Rockne S. O’Bannon (creator of Farscape and Alien Nation), the inimitable William Shatner, and the great Richard Matheson himself.